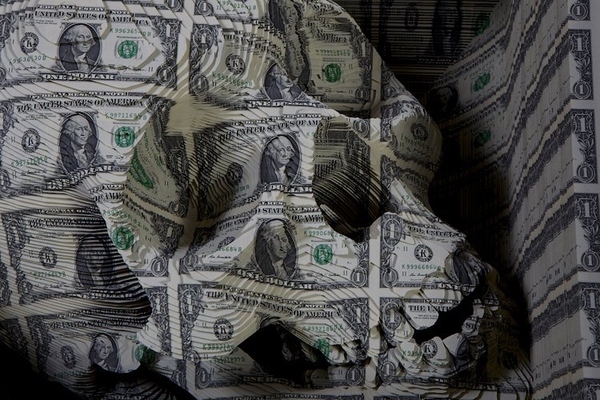 Campbell made the skull by slicing a 3-D image into uncut sheets of dollars from the U.S. Mint. 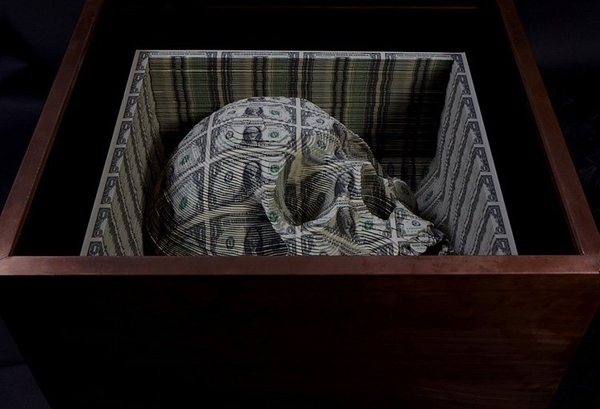 The skull was then placed in a copper box 2 feet long by 2 feet wide. 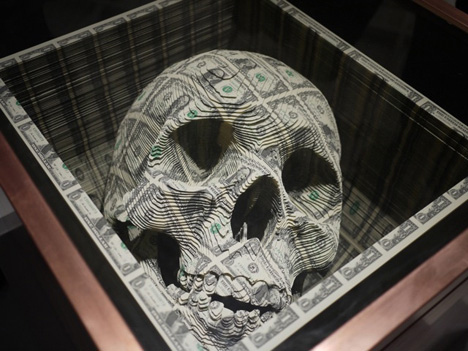 $11,000 in cash might seem a bit much to carve a 3D skull out of, but no worries. This sculpture is now valued at a cool 50 G's. If you don't count his time, that's a $39,000 profit! Campbell's show, Noblesse Oblige, is now showing at OHWOW in L.A.